Professor Brian Saunders is a specialist gastrointestinal endoscopist and luminal gastroenterologist. His main clinical interests are the diagnosis, treatment and prevention of intestinal diseases through flexible endoscopy. He has performed more than 20,000 colonoscopies and has a particular interest in therapeutic colonoscopy especially advanced polypectomy; endoscopic mucosal resection (EMR) and endoscopic submucosal dissection (ESD). Much of his work also involves colonoscopic screening and surveillance of those patients at increased risk of developing colorectal cancer. Professor Saunders was appointed to the consultant staff at St Mark’s Hospital in 1997 and became Chief of Endoscopy in 2003. In the same year he led the successful St Mark’s bid (£1.1,000,000) to become a National Endoscopy Training Centre and he chaired a National workgroup looking at quality assurance and performance assessment for screening colonoscopy. As Director of the Kennedy-Leigh Academic Endoscopy Unit at St Mark’s he helps supervise a team of 12 research clinicians working on new techniques to improve the management of gastrointestinal diseases through the use of flexible endoscopes. World firsts include development of electromagnetic scope imaging, use of mucosal dye to enhance polyp detection, use of electronic imaging to characterize colonic polyps in vivo and development of novel endoscopic devices and techniques to enhance safe endoscopic polyp/early cancer resection. 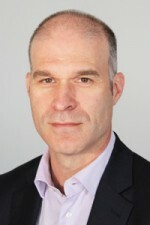 From 2005–2009 he was Dean of the Academic Institute at St Mark’s Hospital and since 2006 he has been Director of Bowel Cancer Screening for North West London. Professor Saunders qualified from University College Hospital in 1988 and was trained in general medicine and then gastroenterology and endoscopy in London and Melbourne Australia. He achieved MRCP in 1991 (FRCP 2002) and was awarded an MD from the University of London in 1996 for his work into “making colonoscopy easier” which formed the basis of his award for the Hopkin’s Endoscopy prize from the British Society of Gastroenterology in 1996. He has authored/co-authoured more than 130 scientific papers, written more than 20 book chapters and has given more than 100 invited lectures or live demonstrations of endoscopy throughout the world. In 2002 he gave the Foundation lecture at the British Society of Gastroenterology on ‘therapeutic colonoscopy’ and was the J Edward Berk lecturer at the American College of Gastroenterology in 2004. He is an International Committee Member of the American Society of Gastrointestinal Endoscopy, Committee member of the British Society of gastroenterology Endoscopy Research Group and faculty member of the European Society of Gastrointestinal Endoscopy. In 2005 he was guest editor of the journal North American Clinics of Gastrointestinal Endoscopy and has co-authored the classic text “Practical Gastrointestinal Endoscopy”.